Lugging around amps and building stages—the life of a rock 'n' roll roadie is notoriously unglamorous. 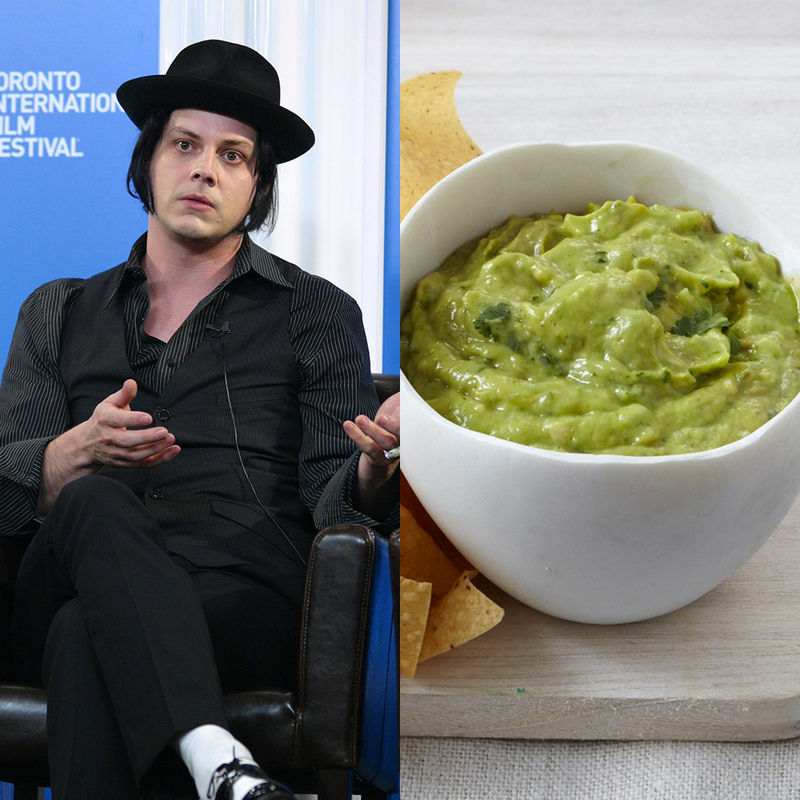 But hey, at least you’re not the schlub who has to make guacamole for Jack White and his band. Turns out someone in their camp is very picky. This information came to light after a show White played on Monday at the University of Oklahoma. In a bit of a controversial move, a writer at the OU Daily, the student newspaper, decided to publish the artist’s contract and tour rider in advance of the show. Seeing strange requests in a rider is nothing new. We’ve all heard the story of Van Halen wanting their M&Ms sorted. But the Jack White rider had a unique new twist: Not only does it make a request for guacamole, it includes a specific recipe. • Mix all ingredients in a large bowl, careful not to mush the avocados too much. We want it chunky. Once properly mixed and tested, add the pits into the guacamole and even out the top with a spoon or spatula. Add 1/2 lime to the top layer so you cover most of the surface with the juice. (The pits and lime will keep it from browning prematurely.) Cover with plastic wrap and refrigerate until served. Please don't make it too early before it's served. We'd love to have it around 5 pm. White’s agency, William Morris Endeavor, was extremely unhappy with “Guacgate,” and the OU Daily later reported that the company blacklisted the school. Fire up your favorite White Stripes album and grab a bag of tortilla chips: It’s rock 'n' roll time.